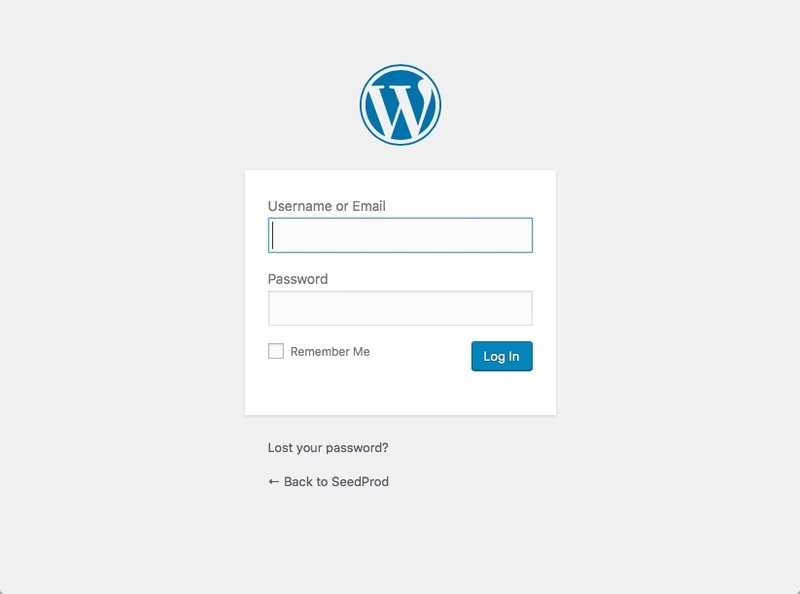 The WordPress login page is pretty vanilla by default. If you look at it above, it’s not that interesting and comes heavily branded with WordPress. While this may be OK for some users most will want to at the very least change out the WordPress logo on the login page with their own logo or their client’s logo. Today I’m going to show you how to easily customize the WordPress login page for any of your needs. 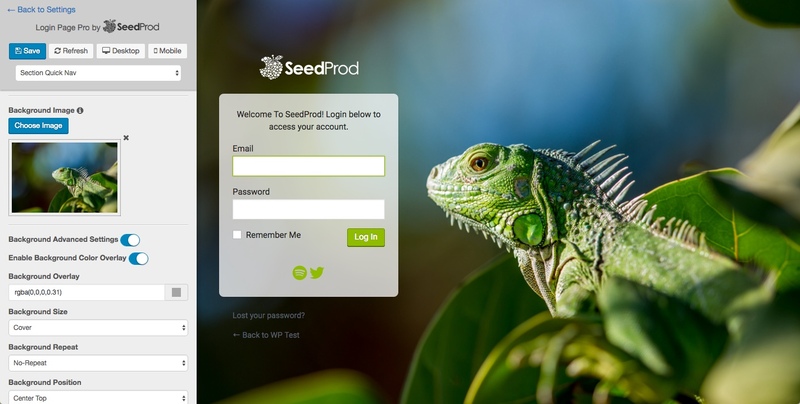 The first plugin I want to show you is called Custom Login Page by SeedProd. This is a free plugin which you can download from WordPress.org and allows you to make of the most requested edits on the WordPress login page. 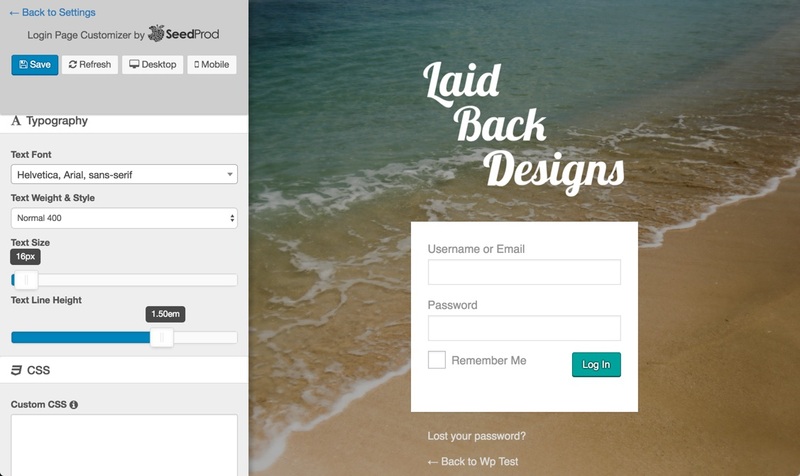 After installing this plugin you can use the realtime customizer to edit most aspects of the login page. What’s nice about this is that you can see all your changes instantly. So say for example you want to change the WordPress login page logo. Simply use this plugin to insert your new logo and that’s it, done! 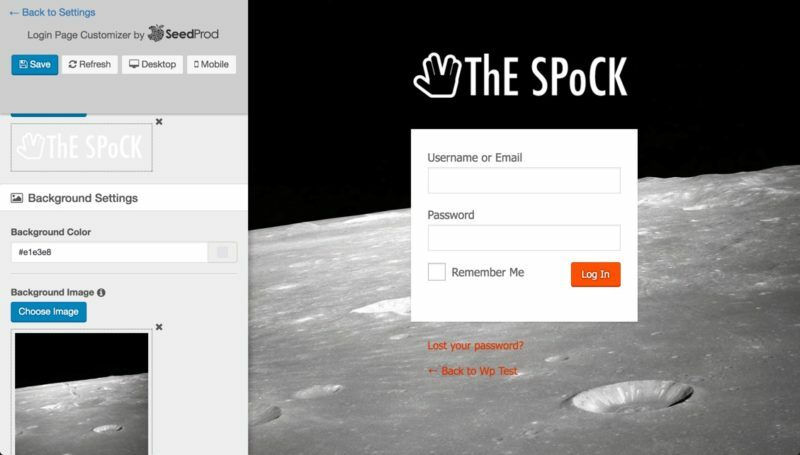 In addition to being able to change out the logo you can also perform these edits on the login page. 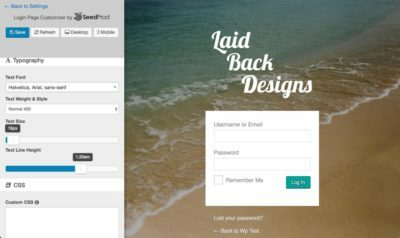 If you need to do more advanced edits then check out the Pro Version of this plugin which is called Login Page Pro by SeedProd This plugin builds on the simplicity of the free version and adds the ability to customize more aspects of the WordPress Login Page. In addition to being able to perform all the edits you can in the free version you can also perform actions listed below on the login page. Change any of the text on the page page. For example change the Username/Email or Password Label. Change the white login form back ground to any color or make it transparent. As you can see customizing the WordPress page is easy and does not require a lot of skill or time. Like I said most users at the least will want to customize the logo. Are than any customizations you’d like to do on the WordPress Login page but not sure how to do? Let us know! 2 thoughts on "How To Customize the WordPress Login Page"
With havin so much content do you ever run into any problems of plagorism or copyright infringement? My site has a lot of completely unique content I’ve either written myself or outsourced but it appears a lot of it is popping it up all over the internet without my agreement. Do you know any solutions to help reduce content from being ripped off? I’d really appreciate it. Keep up the fantastic piece of work, I read few posts on this web site and I think that your web site is really interesting and has got sets of superb information.